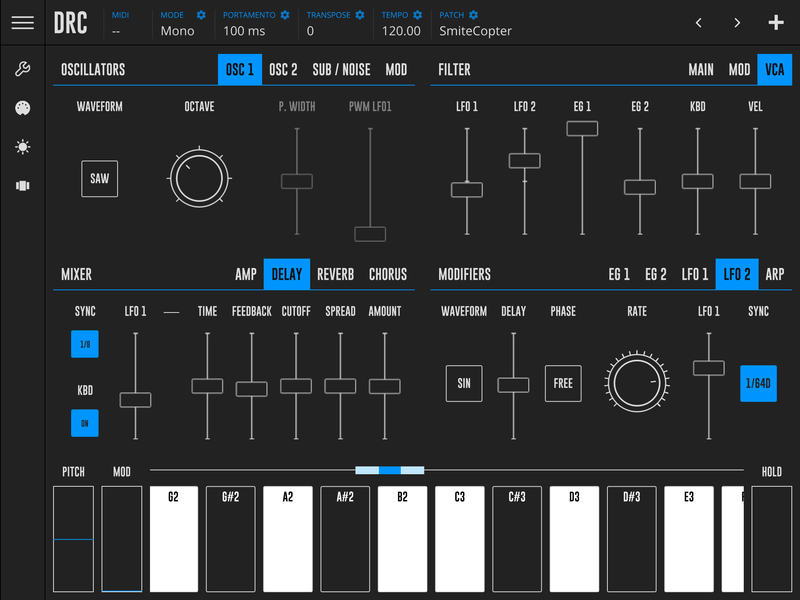 Free, but $15 to “unlock the synth engine” – good review, but I’ll stick with iSEM. Honestly that is the response I both expected and was worried about. $15 is actually a very reasonable price for a quality synthesizer like DRC, if it had no competition. It’s unfortunate that there are already so many of this type available. I actually prefer this over iMini. 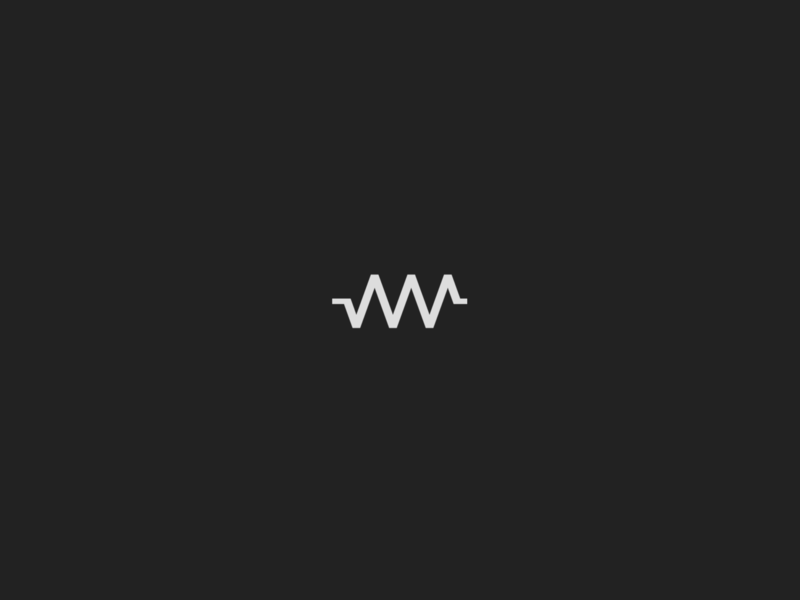 That F S&H LFO waveform is pretty cool, and the simplistic interface is great, but is it really enough to break out ahead of all the other choices? I hope so. I’d really love to see this developer make something truly innovative and new. On sale today, 6/21 only, IAP for $2. How the hell do I record my sounds!?!?!?!?!?!?!?!??! It’s been a while since I looked in on this synth, but I do not recall it having a record function built in? In most cases (myself included) folks would be using a DAW along with their synthesizers to record. Inter-App Audio, AUv3, Audiobus are the primary means for facilitating such performance recordings in a organized way. 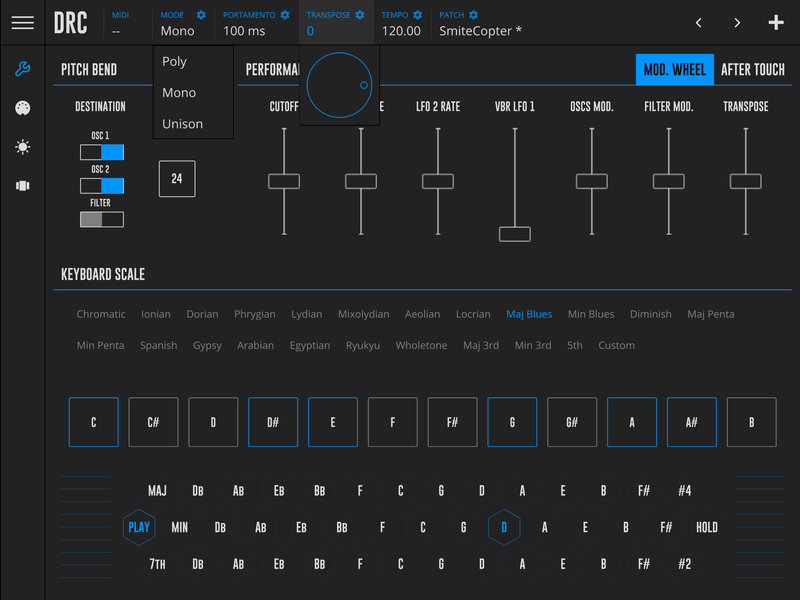 BTW another excellent and totally free synth is AudioKit SynthOne. 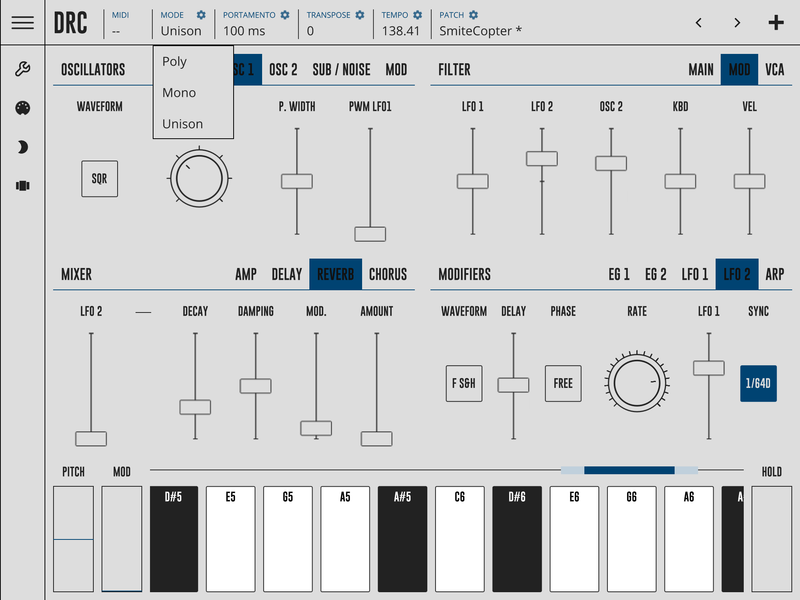 If you want a synth that has a built in record function, you may need to consider purchasing something like Sunrizer, Magellan, and the likes. Check my archives for past reviews of those among others.